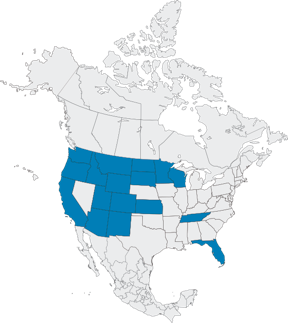 U.S. Bureau of Indian Affairs - FTS Inc.
Bureau of Indian Affairs territory encompasses many regions throughout all of the United States, with the majority concentrated in the Western and Midwestern states. 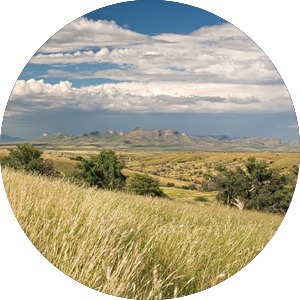 The terrain in the Midwest is characterized by rolling hills and grasslands with limited forest cover, especially in the Great Plains. In the western states, the terrain is mountainous due to the the Rocky and Sierra Nevada mountain ranges with heavy forest cover in some areas. The Great Basin region is mostly desert comprised of sand and rock, and is generally very hot with limited precipitation. The climate is as diverse as the topography of the region. There is a continental climate on the plains with hot summers and cold winters, and the Great Basin rarely sees frigid temperatures. On the West coast, the climate is Mediterranean in the South and temperate to oceanic further north. The U.S. Bureau of Indian Affairs has been an FTS customer since 1992. The Bureau of Indian Affairs’ fire RAWS network monitors fire weather conditions with 78 fixed stations remotely deployed throughout the region. An additional 18 portable stations also assist in controlling prescribed burnings in an effort to reduce wildland fire fuel.